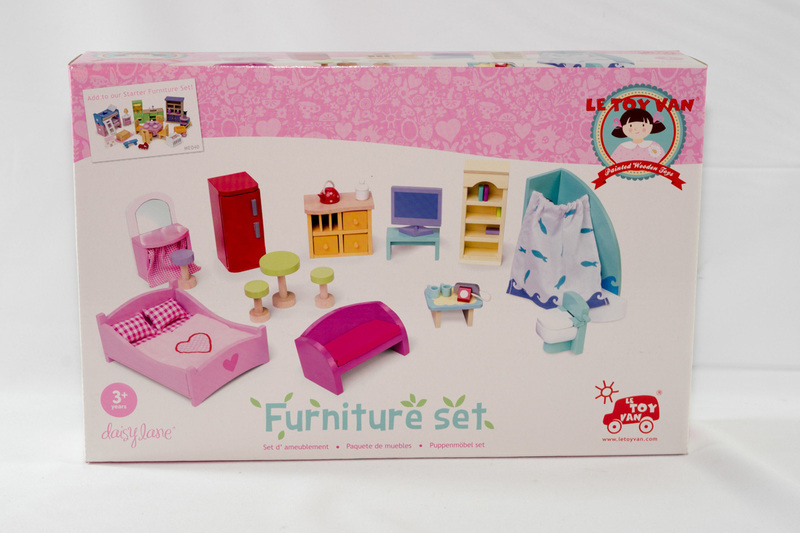 A wonderful 36 piece set which includes 18 pieces of furniture plus 18 little accessories (including duvet covers, cushions and crockery) to set up home. 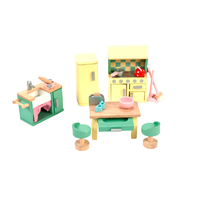 A fantastic addition to the purchase of a Le Toy Van doll house. 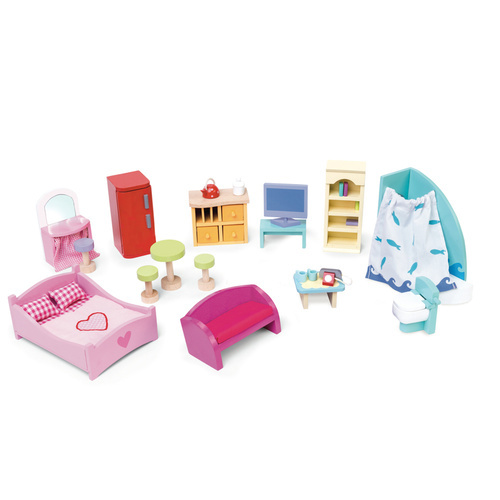 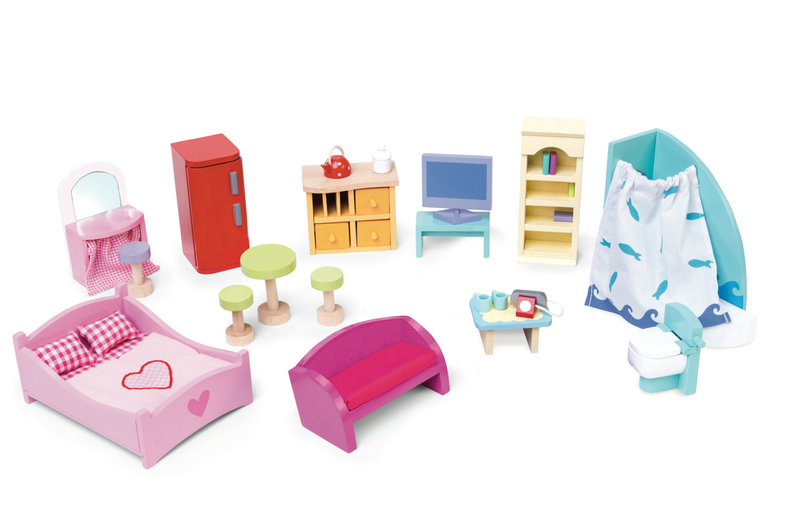 Perfectly scaled for the extensive Le Toy Van doll's house range, the Deluxe Furniture Set can combine with other furniture sets or can be used alone, providing all the basic furniture needs for any doll's house.